"Simple and light. 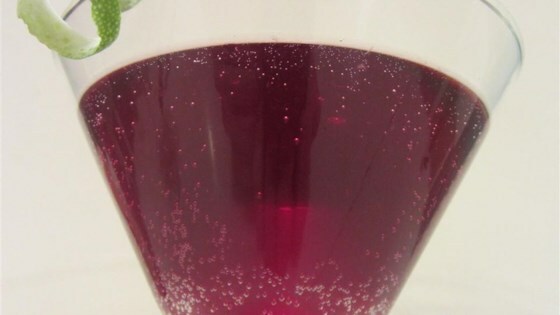 Wine and champagne punch. I never have any leftover." Place frozen sherbet in center of a large punch bowl and add champagne and sweet red wine. Stir gently (sherbet will keep ingredients cold and slowly dissolve.) Pour in ginger ale and serve. Delightful! Reception guests (250)'inhaled' 8 gallons in one hour!!! I served this wonderful concoction for a bridal shower of 15 women. Everyone was wild about it and I had to make another punch bowl full. A real hit! The ladies at the bridal shower LOVED this recipe. This punch was a hit! I accidently put in strawberry sorbet, but the bits of berry were wonderful. You've gotta try it! I'll make it again. Thank you!